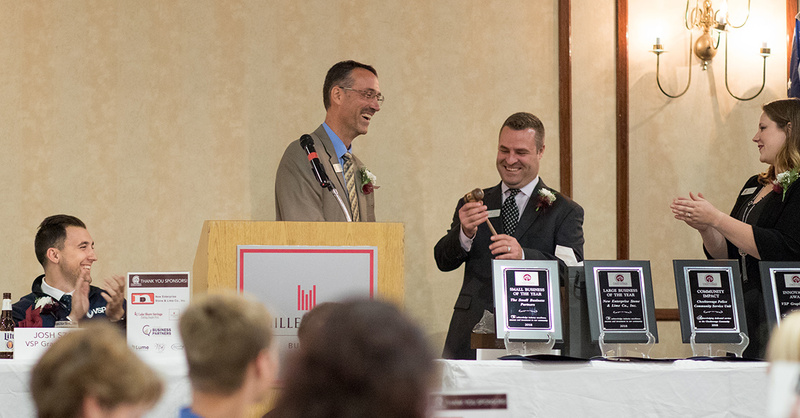 Last week, Michael Hensley, Senior IT Manager for Lume Strategies (an Aleron company), was installed as Chairman of the Board for the Cheektowaga Chamber of Commerce. Hensley—who has been with Lume since its inception in 2012 and with Aleron since 2008—has served on the Chamber’s board of directors since 2015. As Chairman, Hensley will continue championing and supporting businesses in the Cheektowaga community to create more opportunities for economic growth. The Chamber board includes local leaders from M&T Bank, Buffalo Niagara International Airport, the Walden Galleria Mall, Lake Shore Savings Bank, Northwest Bank, Rosina Food Products, Sisters of Charity Hospital, and the American Red Cross, among others. Hensley’s passion for helping businesses is integral to his role at Lume, which delivers IT solutions to a number of organizations in the Western New York region. Offering two decades of industry experience, Hensley collaborates closely with clients to ensure that the systems and technologies our teams put in place meet each organization’s goals and objectives. He also serves as Vice President of Business Helping Business (BHB) of Western New York.